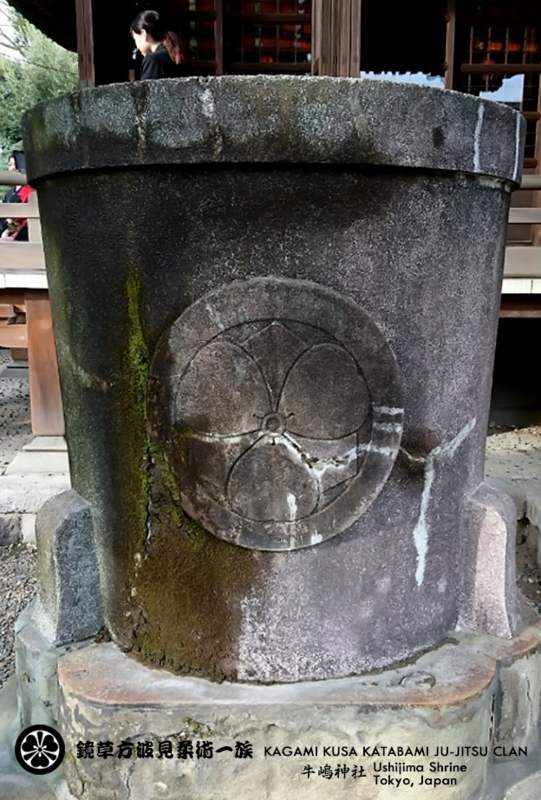 founded circa 860 AD by the great Buddhist leader Jikaku. 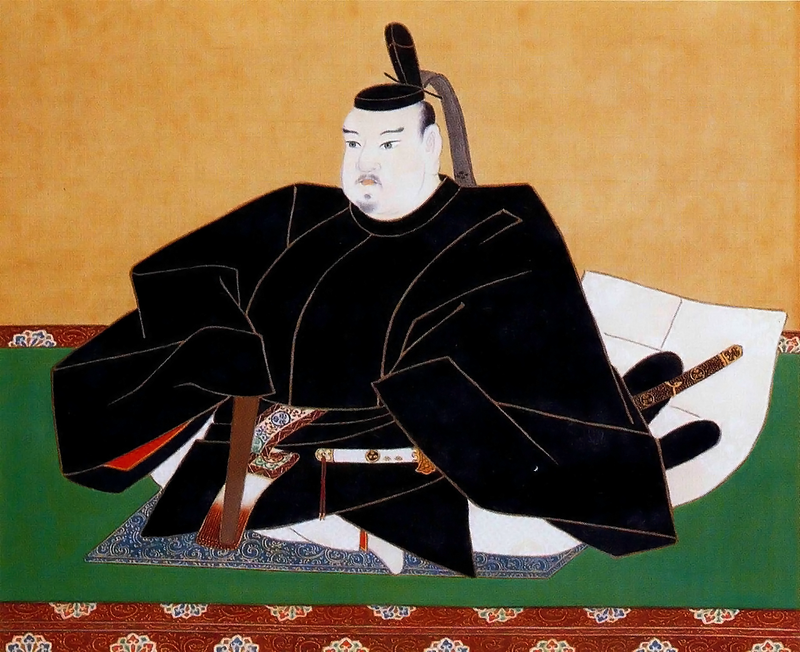 ​Jikaku Daishi. 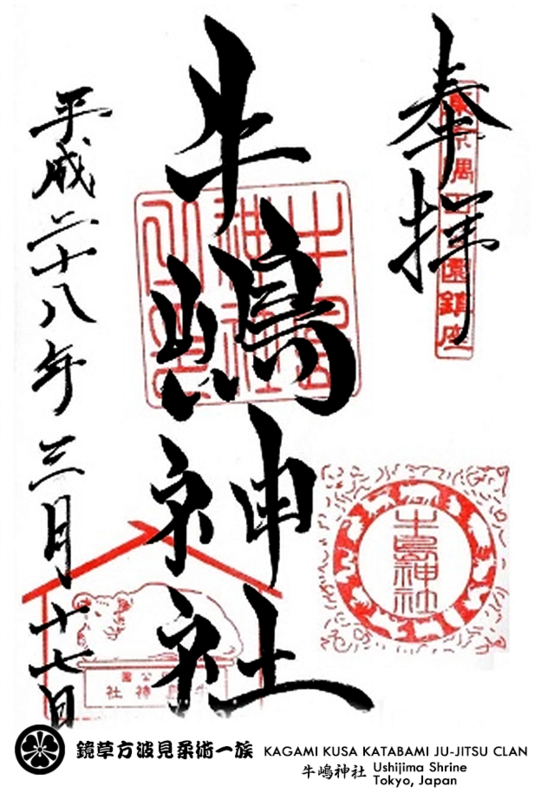 His name as a monk was 円仁 Ennin. 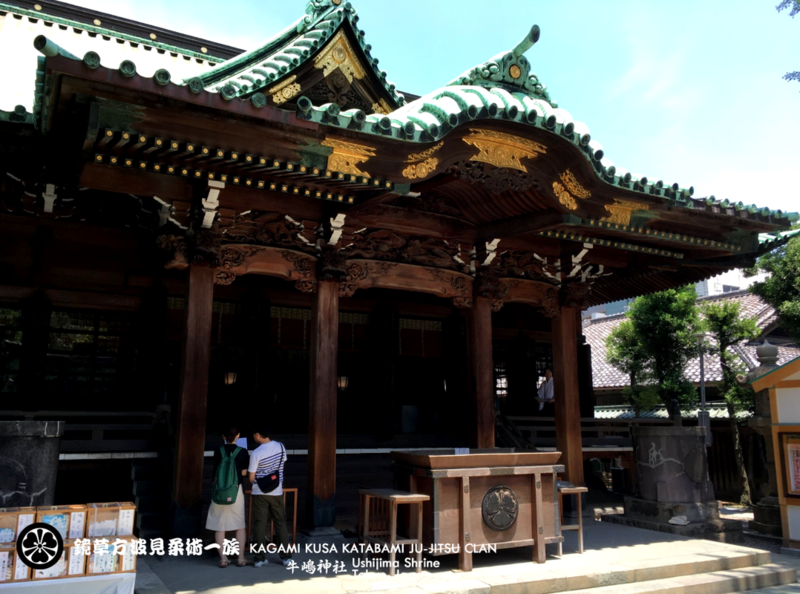 He was born into the 壬生氏 Mibu-shi Mibu clan of 下野国 Shimozuke no Kuni Shimozuke Province which is modern day 栃木県 Tochigi-ken Tochigi Prefecture. 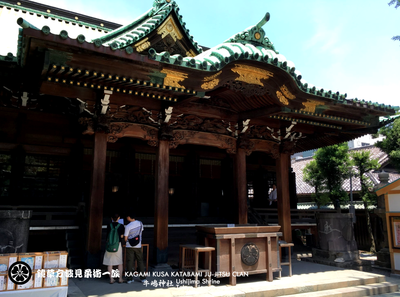 ​Jikaku Daishi means Great Teacher of Merciful Enlightenment. 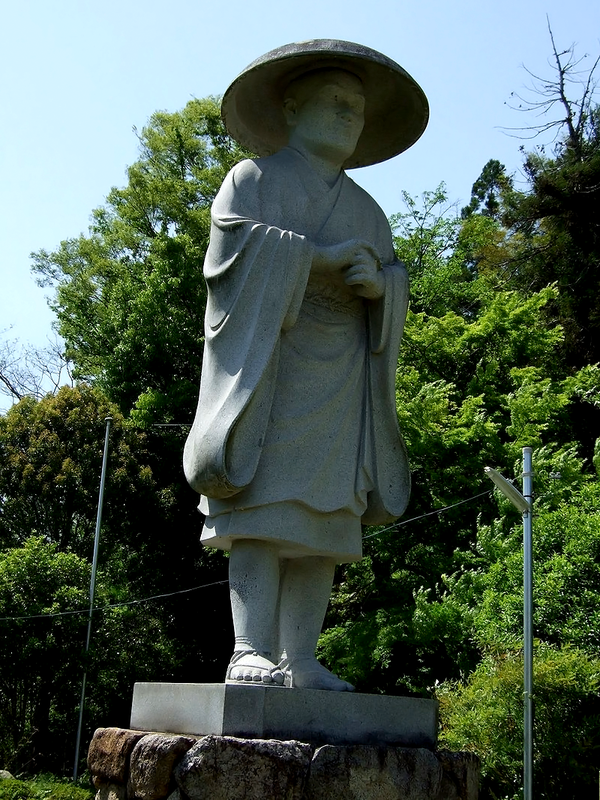 Jikaku Daishi, who had been studying Buddhism in China, was ejected from the country during the Great Buddhism Purge of 845 and forced to return to Japan. 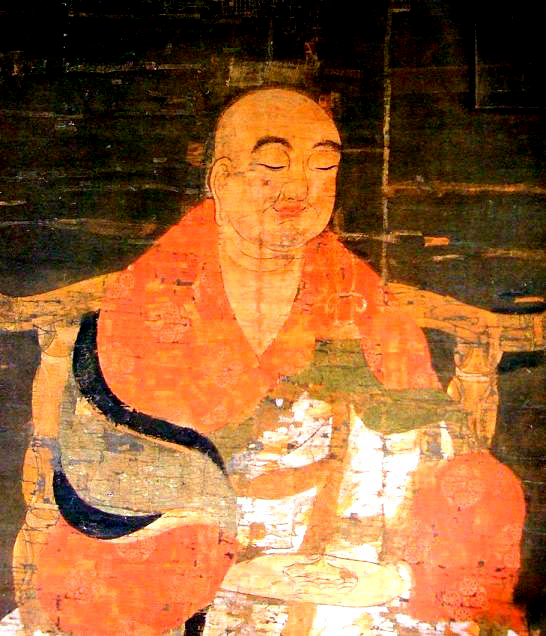 Upon his return he visited various centers of Buddhism in the country to share his knowledge and engage in philosophical discussions with other monks. 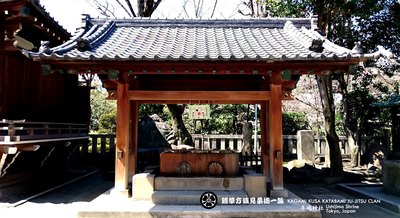 While visiting a hermitage called 一草庵 Issōan, Jikaku Daishi took a walk and happened upon an old man. 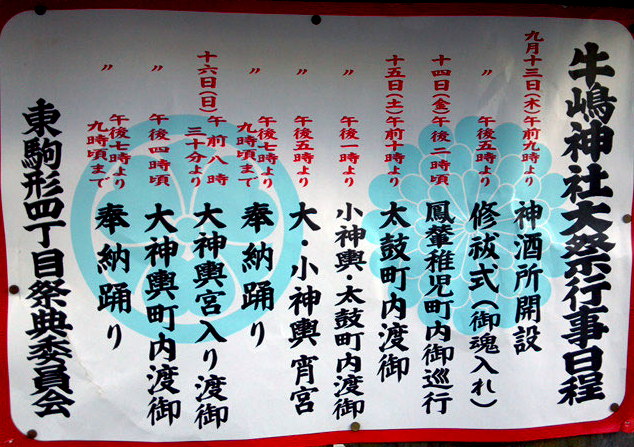 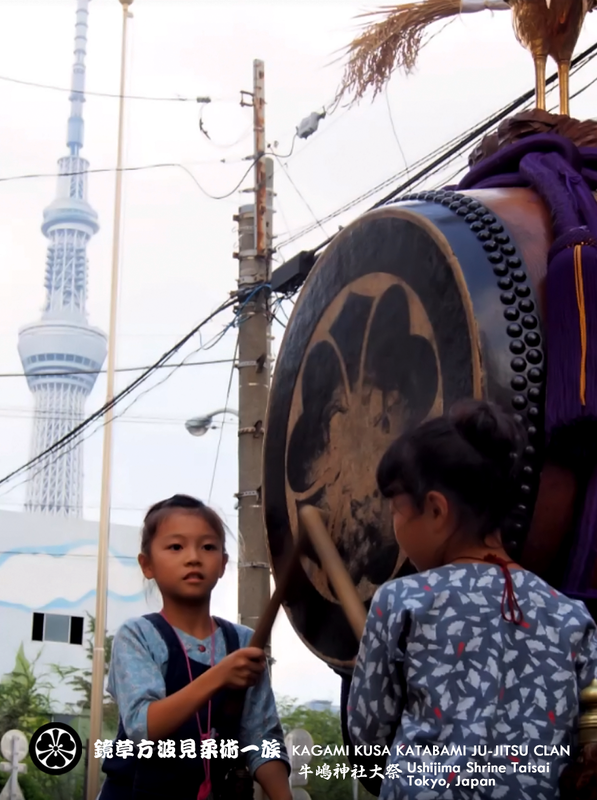 The old man told him that he should build a shrine to protect the local people on the east bank of the Sumida River. 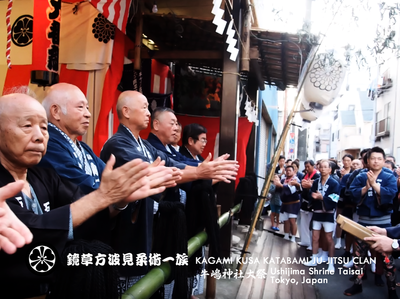 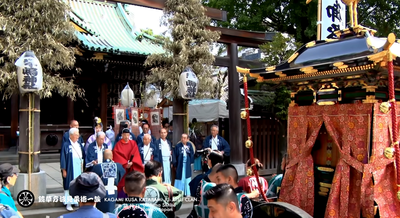 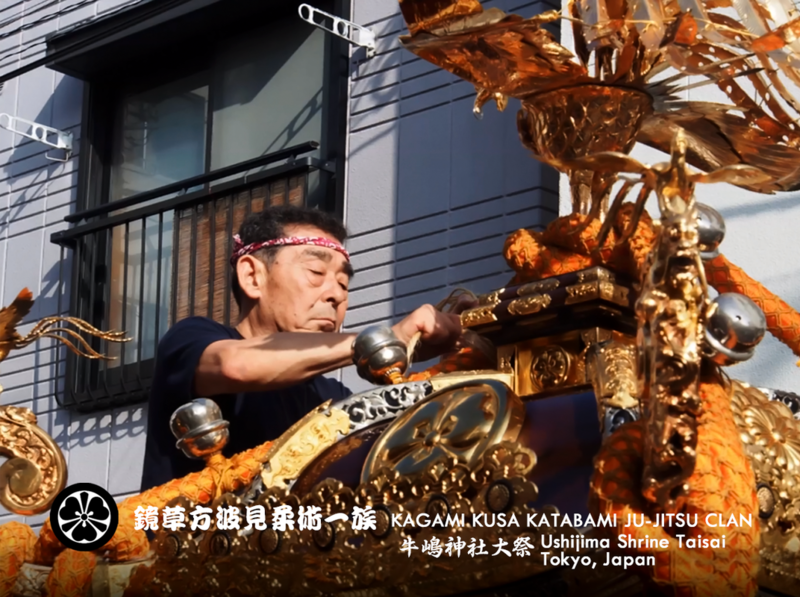 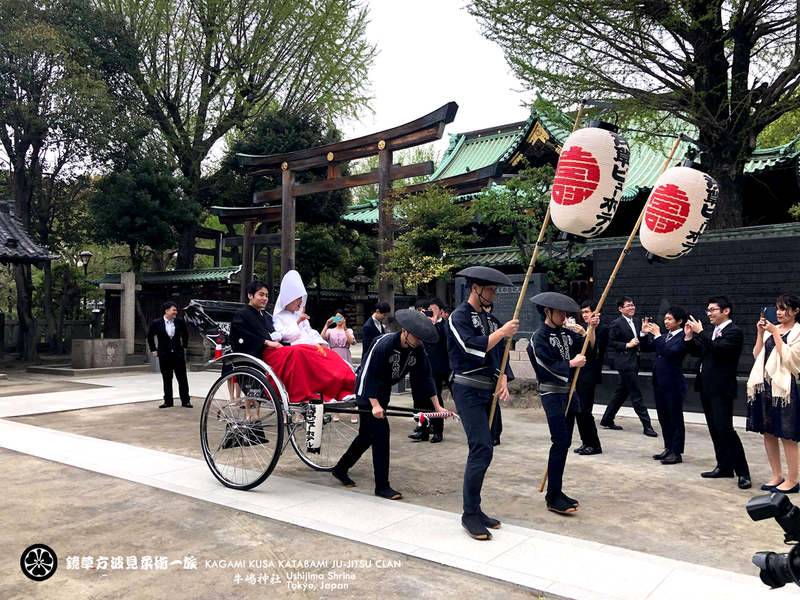 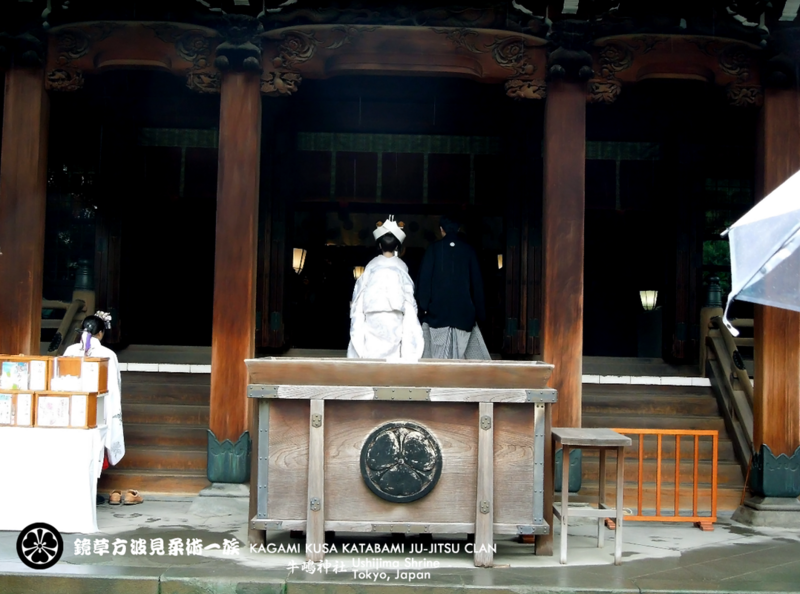 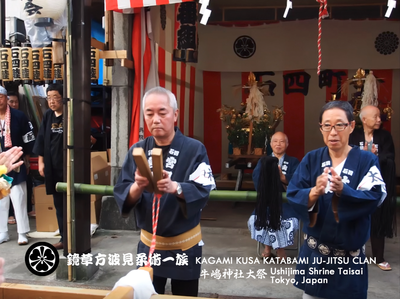 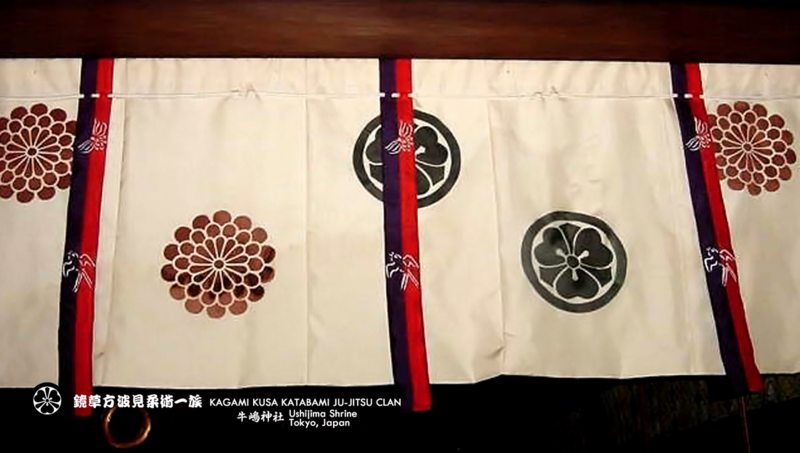 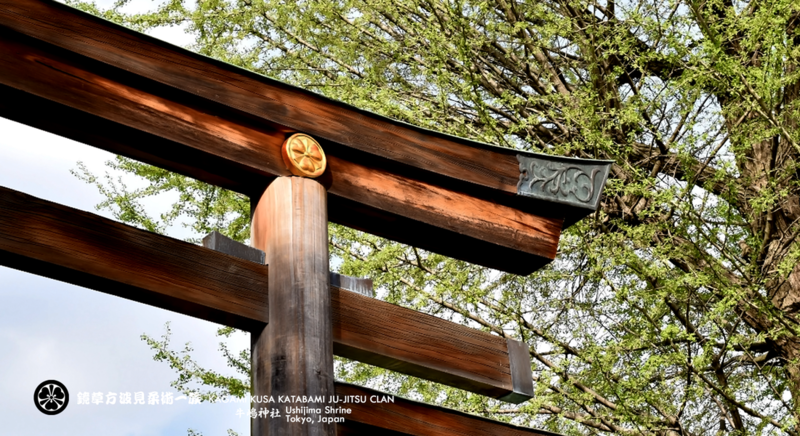 The old man then revealed that he was an incarnation of the Shintō 神 kami deity named 須佐之男命 Susano’o no Mikoto.​ Jikaku Daishi set about founding a shrine on the east bank of the Sumida River in the Ushima area. 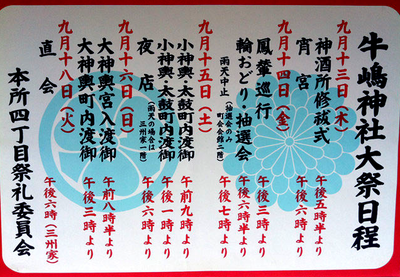 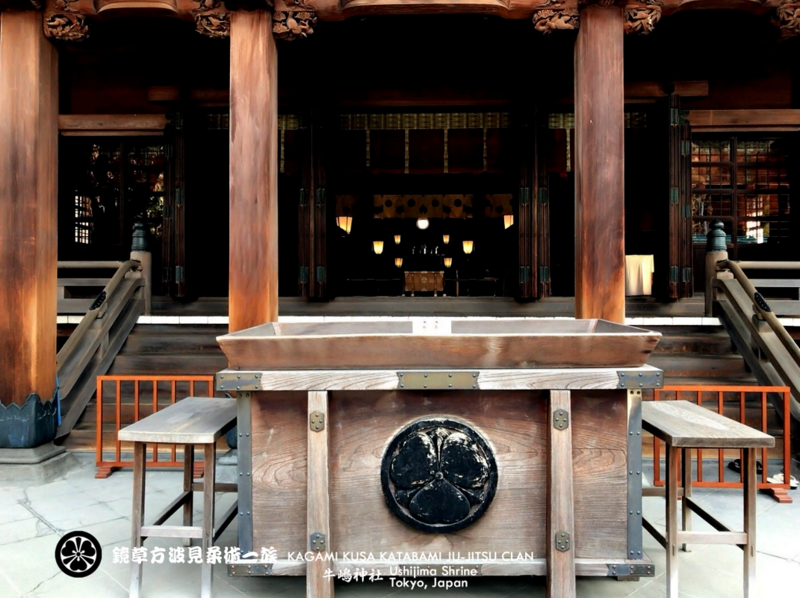 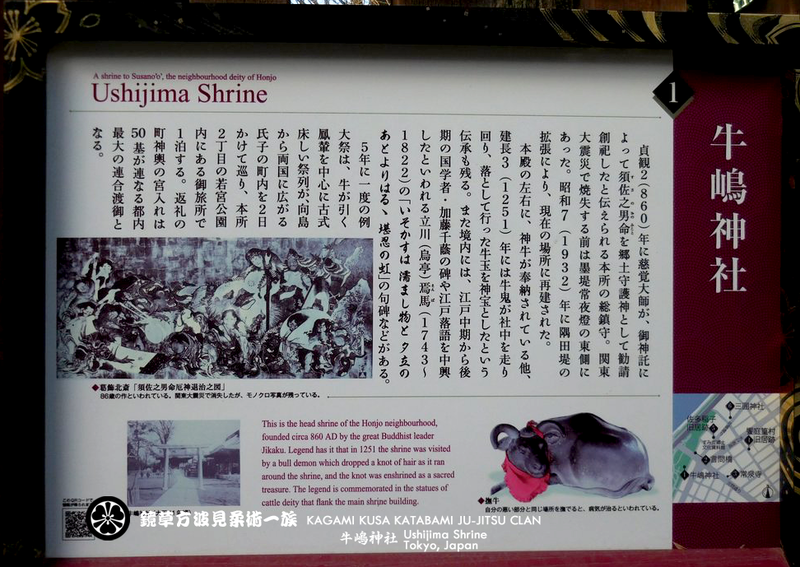 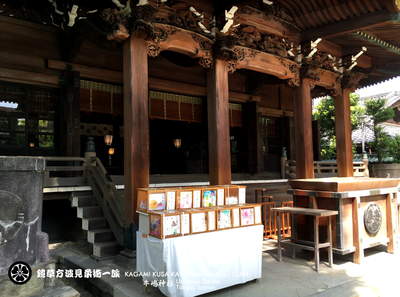 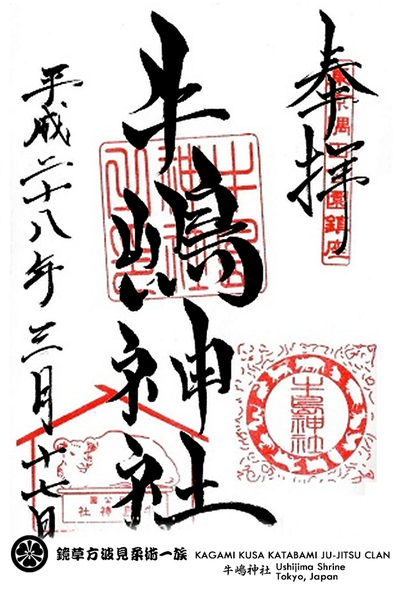 The name of the original shrine was 牛御前社 Ushi Gozen-sha. 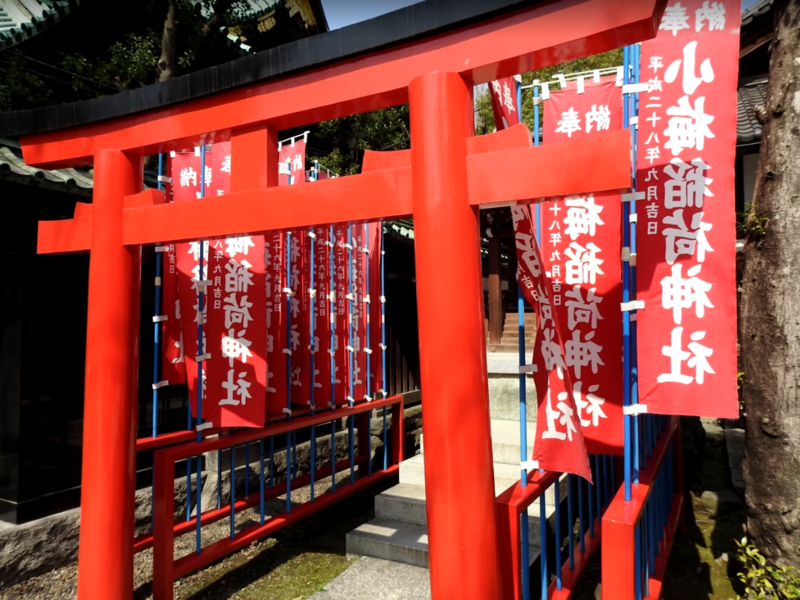 The wishes of the old man that Jikaku Daishi encountered were that the shrine would protect the people on the east bank of the Sumida River. 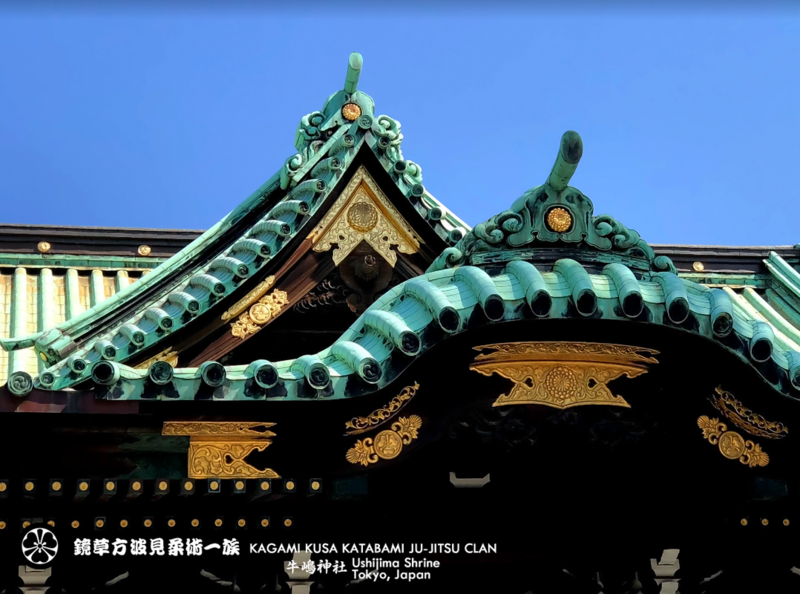 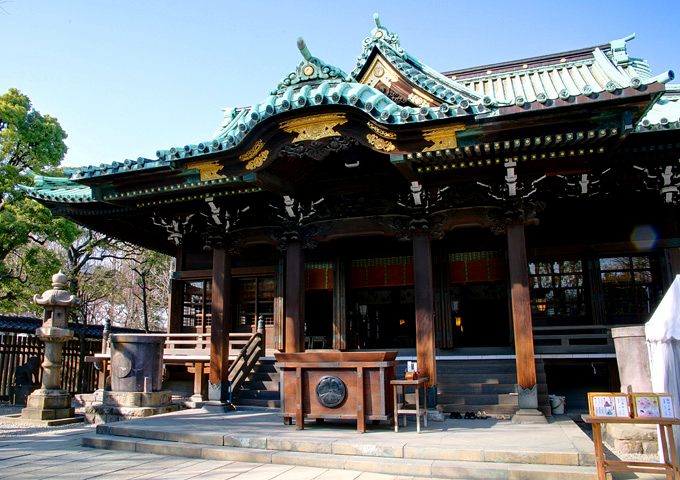 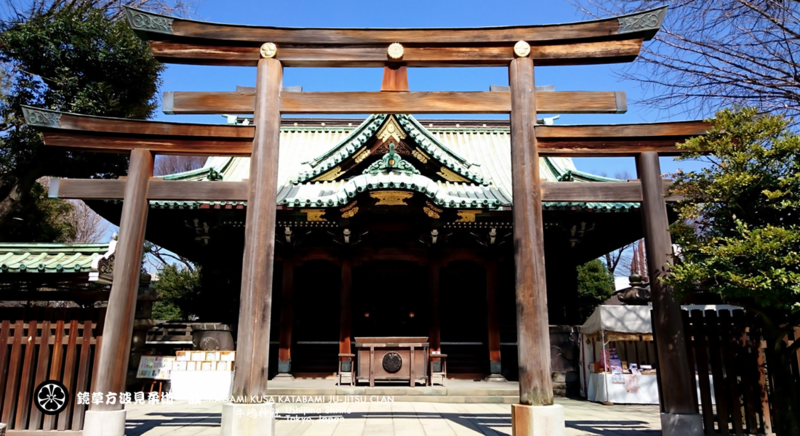 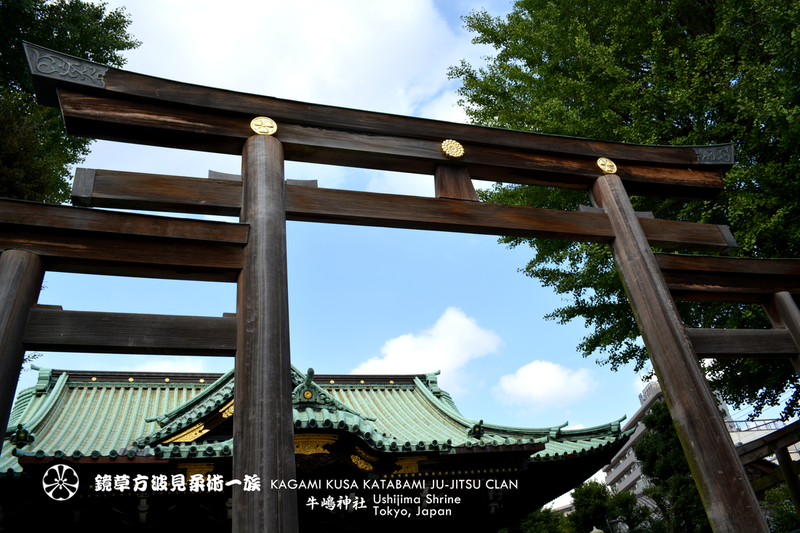 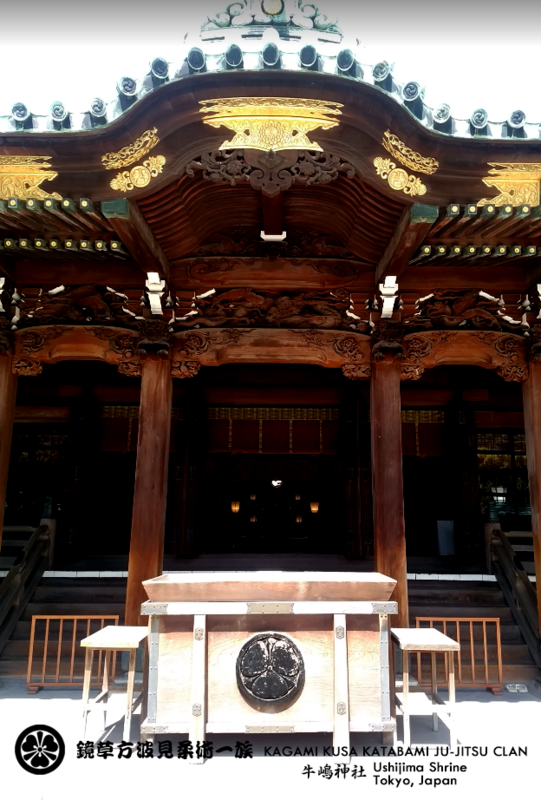 The shrine would become home to the 本所総鎮守 Honjo sō-chinju the tutelary kami of the entire Honjo area. 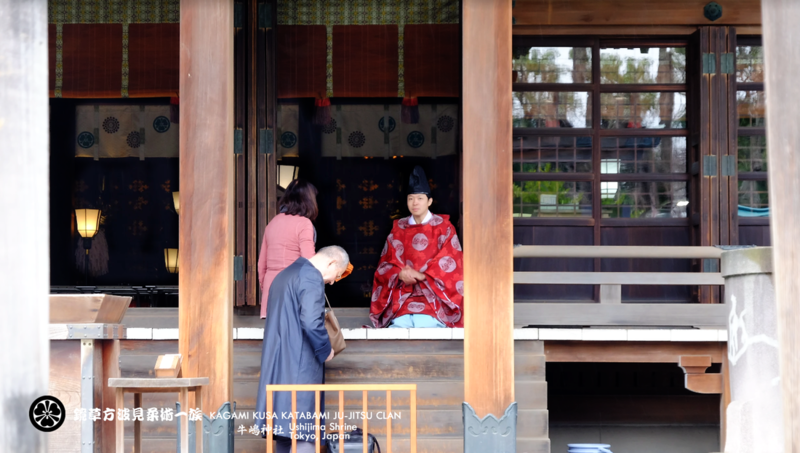 The west bankers had their Sensō-ji but the people on the east bank needed a tutelary kami (Tutelary deity/tutelary kami means a deity who looks out for your best interests and protects you), too. The Sumida River even had its own deity. 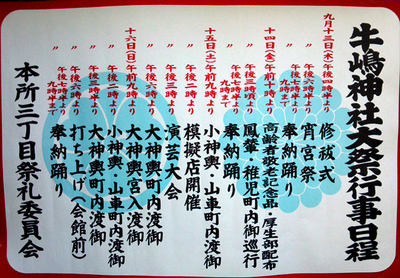 So the people who lived in the eastern flood plain needed equal protection from the powerful river god. 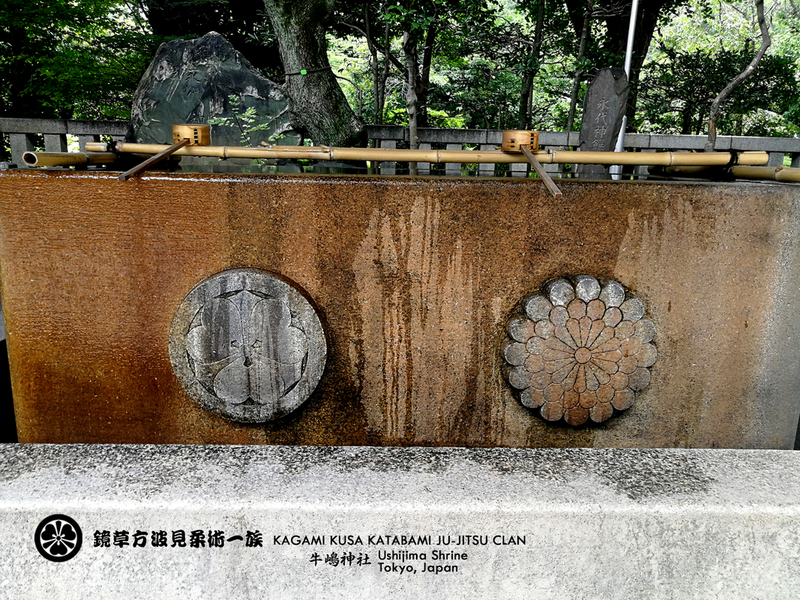 Ushi Gozen-sha didn’t only enshrine one deity. 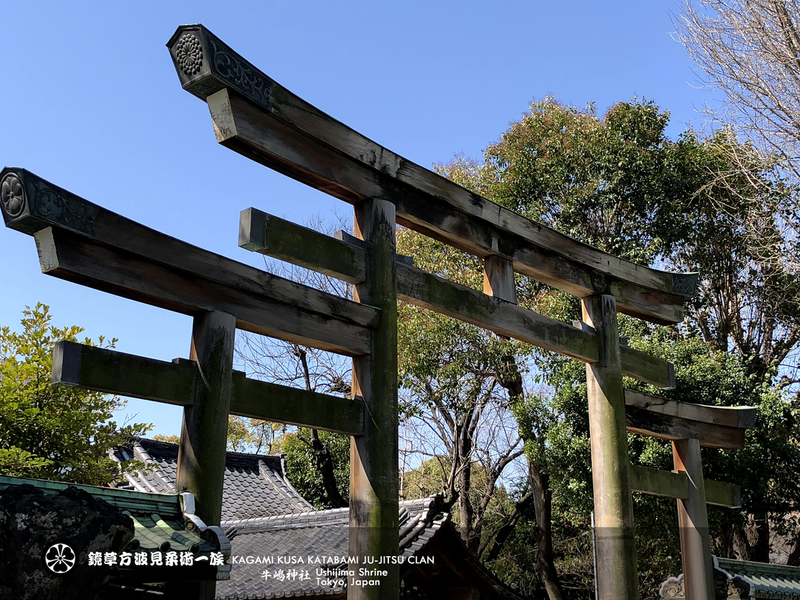 The east bank of the river was essentially grassland, even during most of the Edo Period this side of the river was relatively rustic. 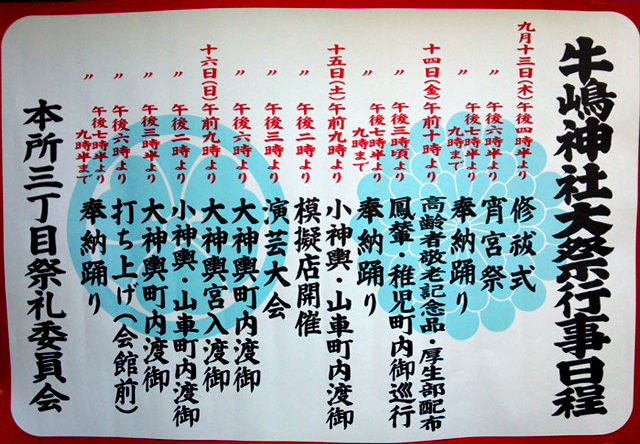 During the Asuka Period and Nara Period, the grounds on the flood plains of the eastern bank of the Sumida River were used for grazing cattle. Thus the area came to be called 牛島 Ushijima Cow Island – a name that was eventually contracted to Ushima. 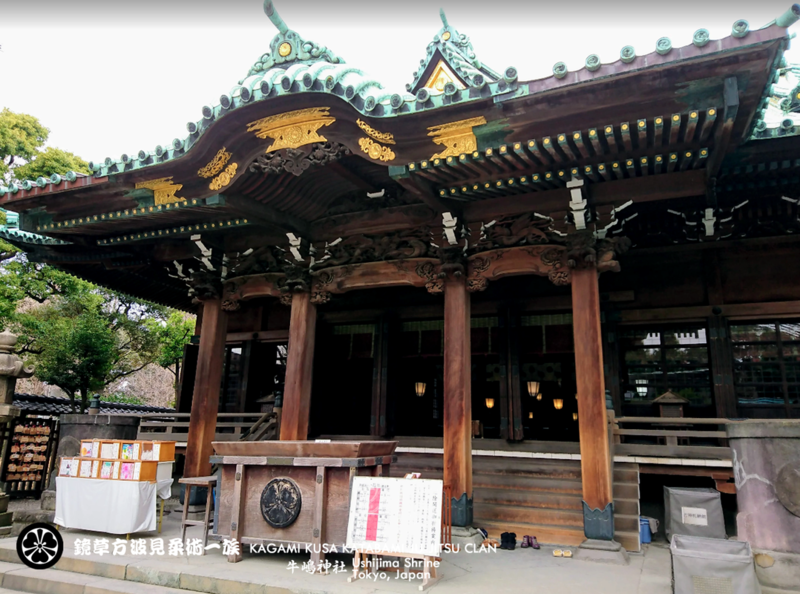 徳川家光 Tokugawa Iemitsu began to patronize the shrine as the Tokugawa family came down to their beautiful palace where the river met the bay. In its time, it have been a gorgeous villa with a spectacular view of the river. ​by the 徳川家 Tokugawa-ke Tokugawa family. 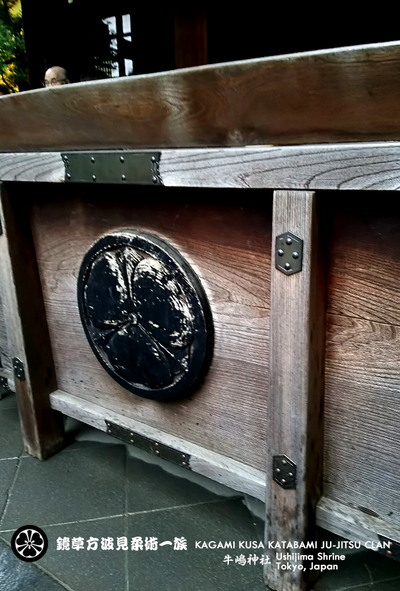 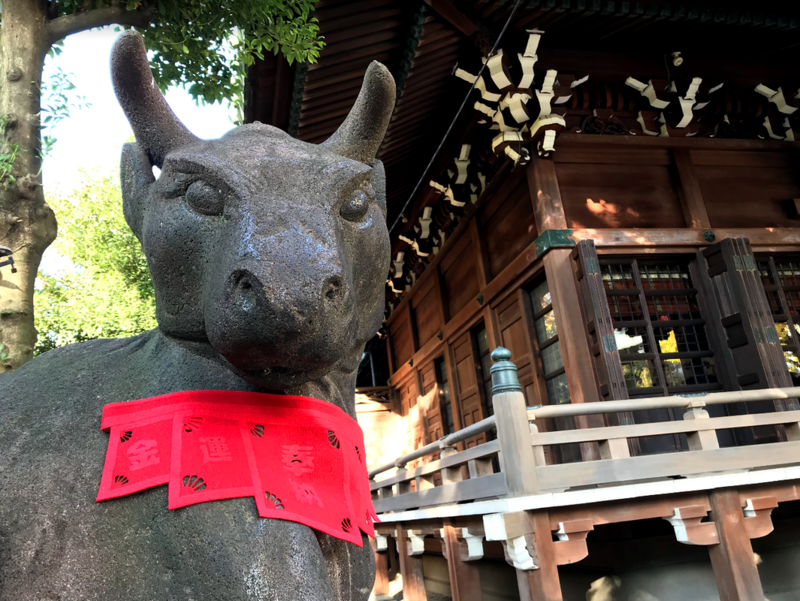 Legend has it that in 1251 the shrine was visited by a bull demon which dropped a knot of hair as it ran around the shrine, and the knot was enshrined as a sacred treasure. 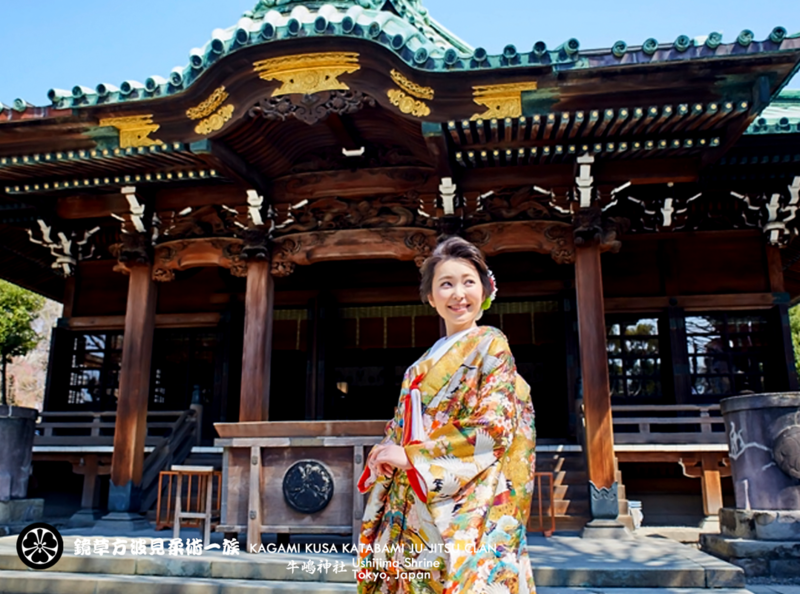 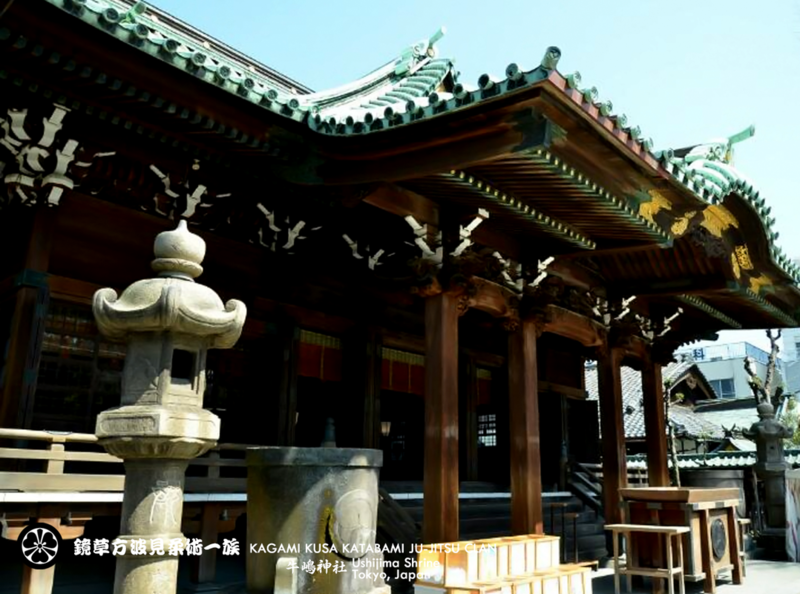 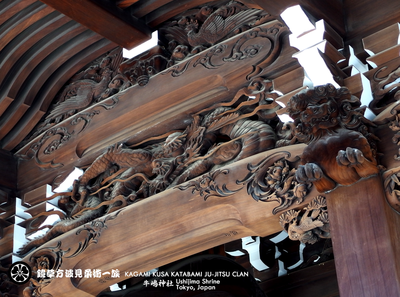 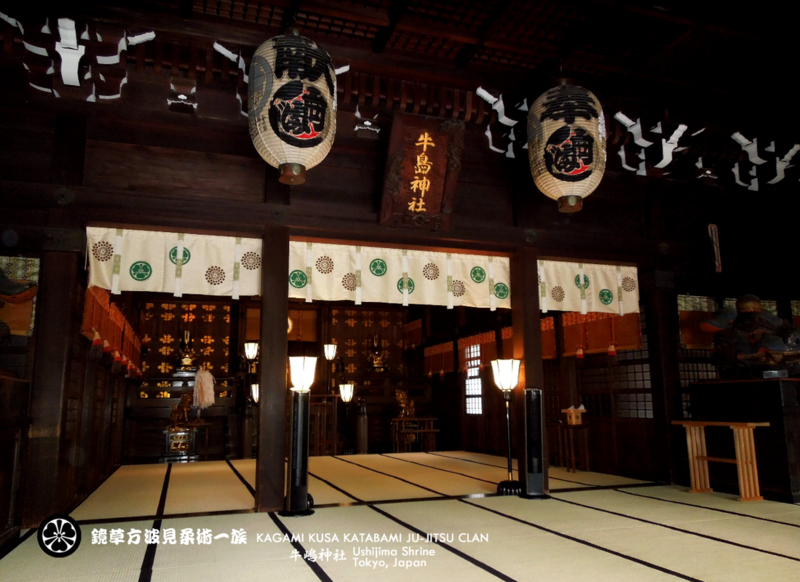 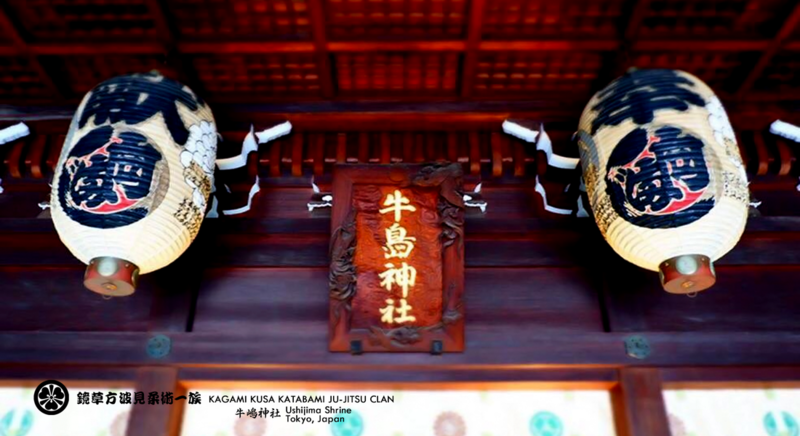 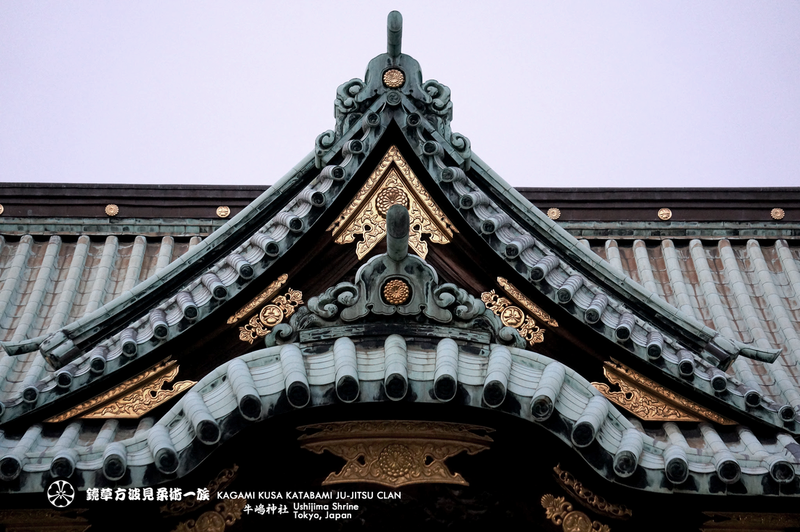 The legend is commemorated in the statues of cattle deity that flank the main shrine building. 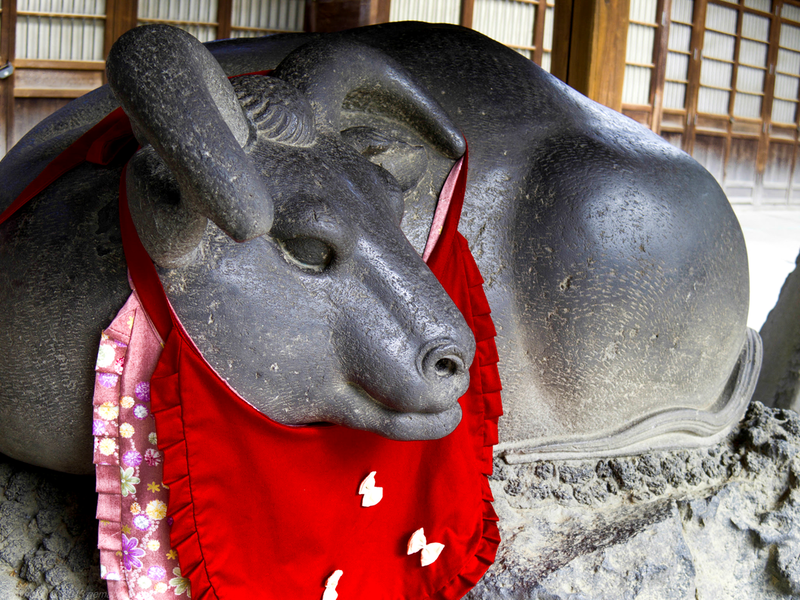 The legend says the statue Nadeushi (Touching Cow) will help to heal your wounds/injuries faster. 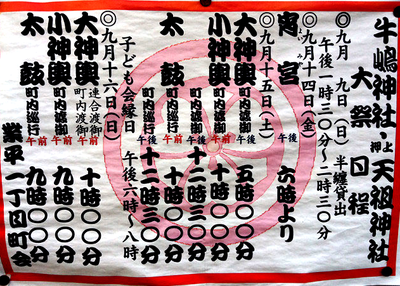 At first touch your own injury and later the same area at the Nadeushi. 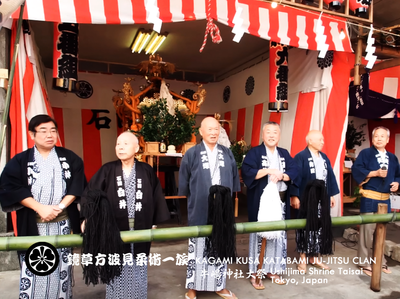 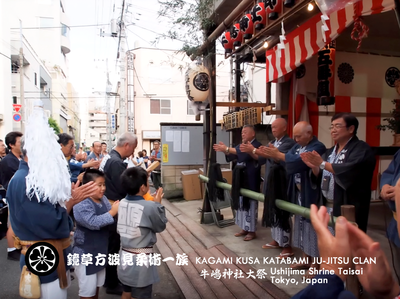 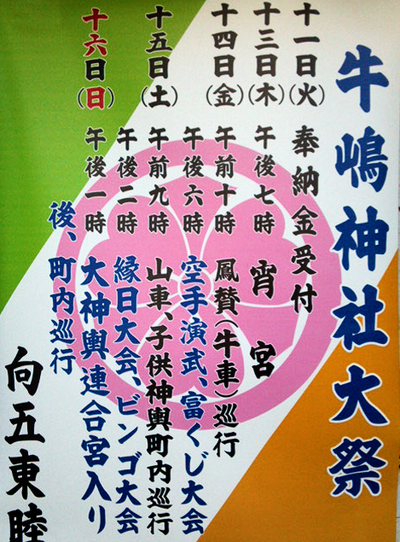 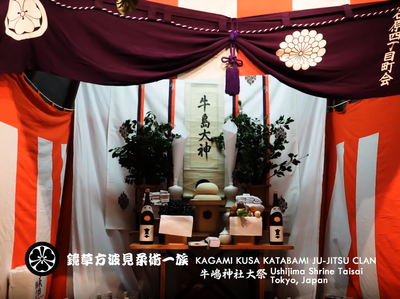 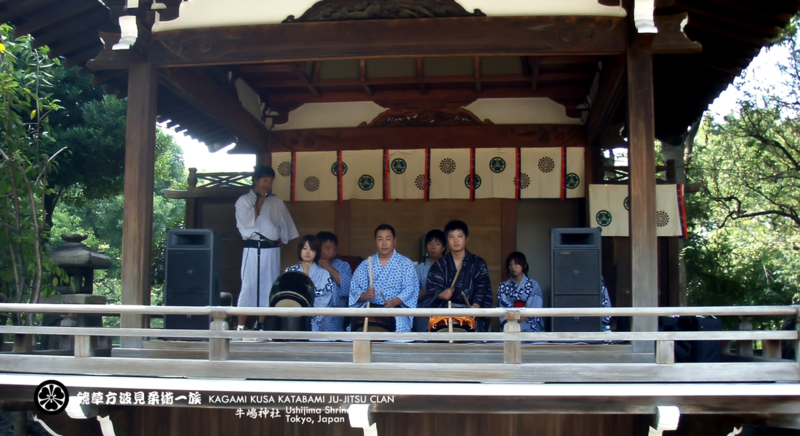 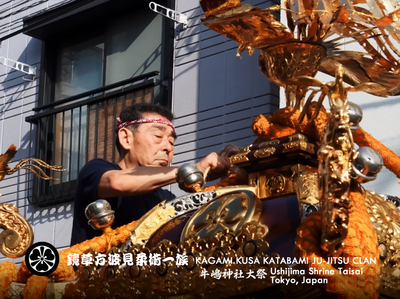 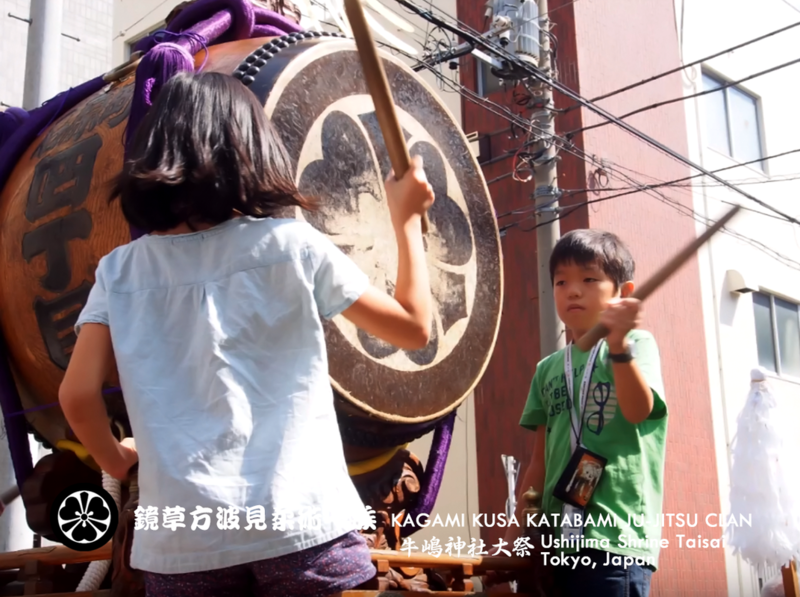 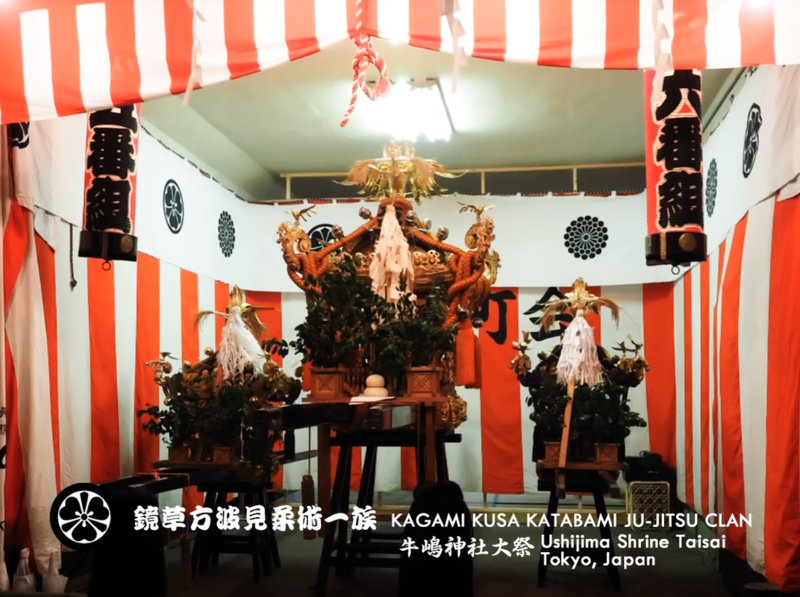 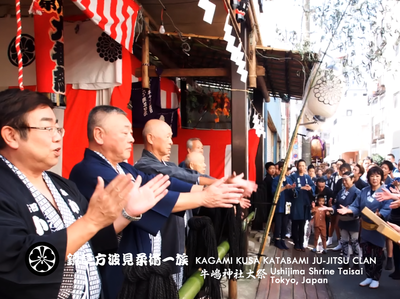 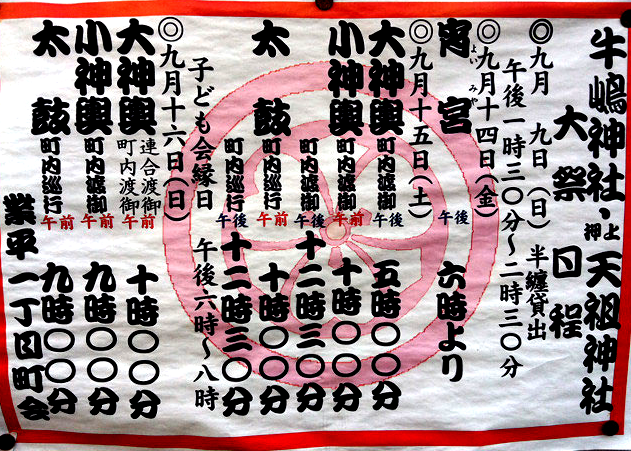 Ushijima Shrine Taisai (牛嶋神社大祭) is a great Autumn Matsuri happens at Tokyo. 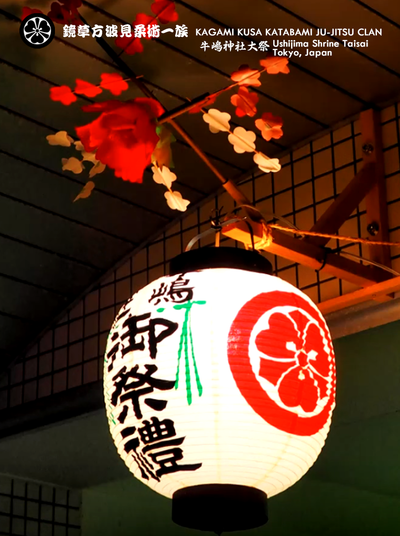 by the people of Tokyo. The ritual parade has the priest, the followers of the each town, scared kids and caw car. 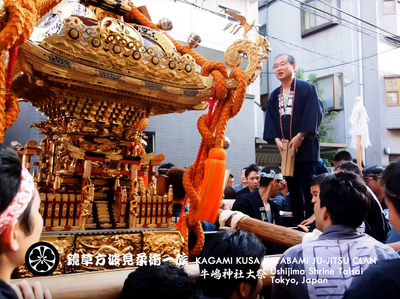 The caw car, called "Horen" was used to be the car of the emperor in the old time and it represents the carrier of the gods. 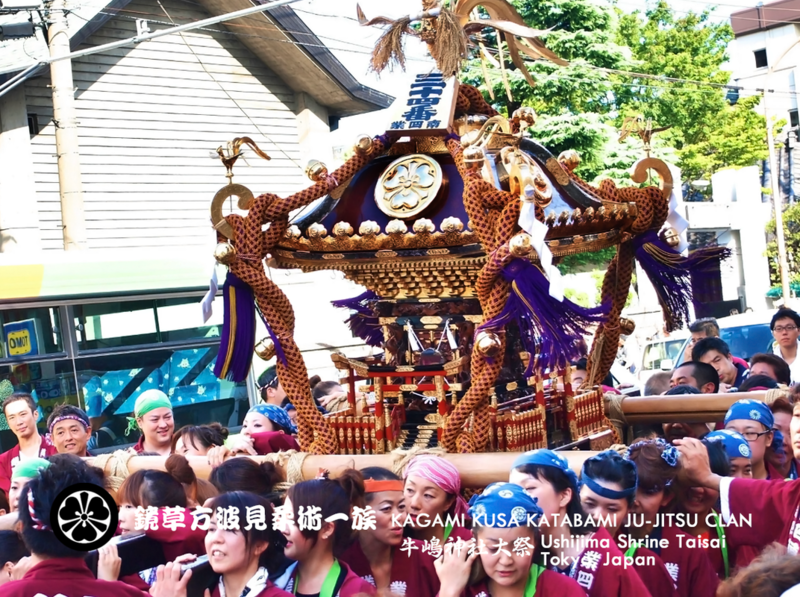 This parade travels all over the towns of Ushijima, and The leaders, the followers, and the kids will be changed at the each town. 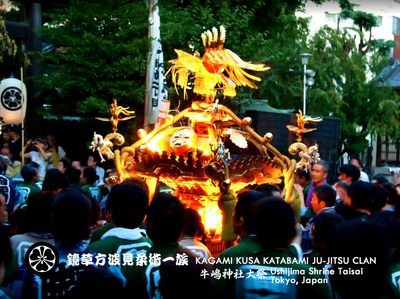 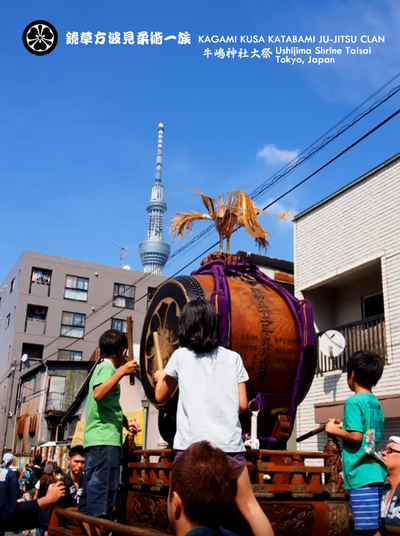 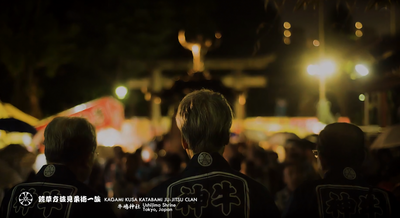 After the parade, there are Mikoshi parade and Bon Dance at night. 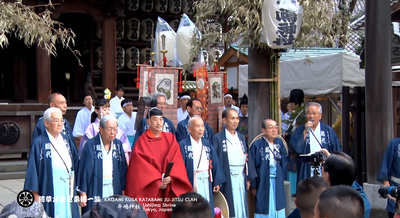 The parade ends at the Ushijima Shrine.